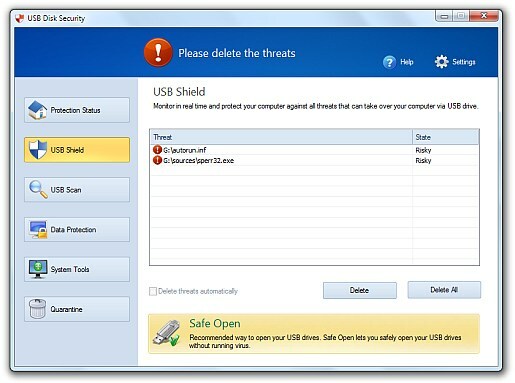 USB Disk Security 6 has underwent a major update from the previous version. 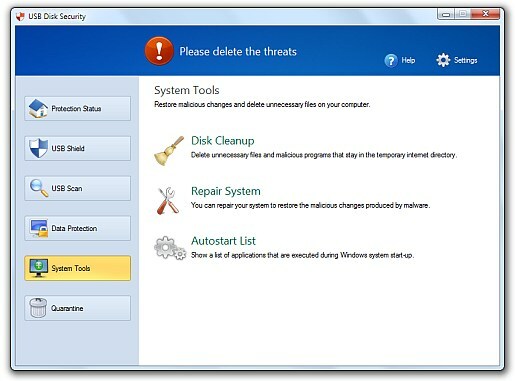 The software now includes a brand new interface which is a huge improvement and resembles a polished free antivirus. There are now new protections including USB access control, USB data control, a resident shield, a USB vaccine, and a safe open option. The publisher has even added auto update functionality and password protection. The installation of USB Disk Security 6 was easy. The setup file has increased 3 megabytes to 4 and the system didnâ€™t require a restart after the installation. The resident shield started and used approximately 8 megabytes of RAM which is almost 4 times that of the previous version (granted there are now more features available). The moment I put the removable drive in the system, USB Disk Security 6 detected the drive and found an autorun.inf file and a referenced exe file (sperr.exe) on the disk. The problem is that the removable drive only had legitimate files on it (the Windows 7 installation disk). So, the program appears to be unable to distinguish from actual malicious entries versus technically safe ones. However, there really is no reason to have autorun.inf on flash drive if one is using it for personal use. 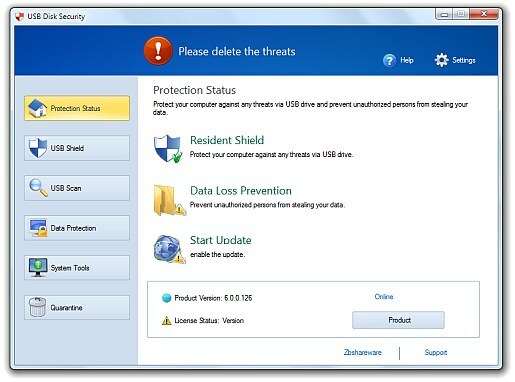 Once the threats are detected, the user has the option quarantine them. 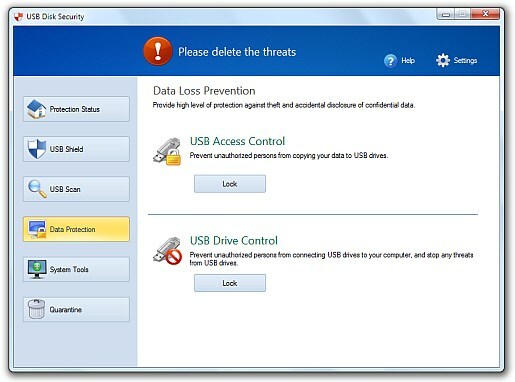 USB Disk Security 6 renames the files and then encrypts them during this process. The USB Scan option picked up additional threats on the drive that the initial scan didn’t detect. The program presumably looks for scripting files and detected etwproviderinstall.vbs as suspicious. The scanner scanned an a 4gb flash drive with 3.5 gb of data (1000+ files) in about 10 seconds. This is extremely fast scanning but again may have false positives compared with other definition based free antivirus. The new features are the USB Access Control and USB Drive Control that prevent users from copying files or even putting a drive into the USB port. This is perfect for information sensitive operations in which one doesnâ€™t want other users lifting secrets from a system. In order to set it up one has to create an initial password, run the program with administrative rights, and then restart the system. However, it would be nice for the lock button to remained depressed indicating that the protection is active. The drive didnâ€™t show up in My Computer after the test system was restarted but USB Disk Security 6 was still able to scan the drive. Therefore, the protection was successful and a nice alternative to disabling ports. The Safe Open allows one to open a USB drive in a way that prevents viruses from executing. However, details remain vague on how this actually works. There is also a USB Vaccine option which can vaccinate a specific drive or the whole system against auto run files. Finally there are some additional tools such as disk cleanup, repair a system (reset default settings), and an auto start manager.